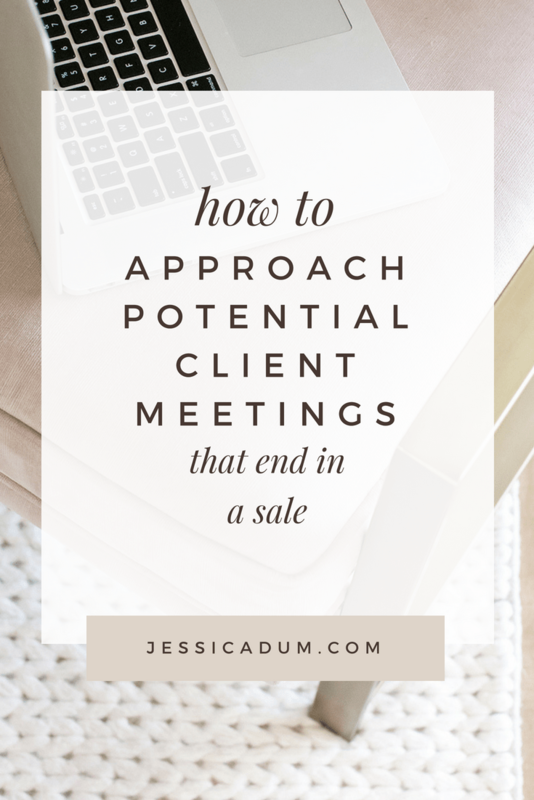 Have you ever walked into a potential client meeting feeling unprepared or not completely confident in selling your services? Better yet, have you ever walked out of a potential client meeting feeling like you totally blew it? When I first started my business, I was not 100% confident in selling my services. For starters, I was 24, only a few years out of college, and trying to create awareness of a niched service offering that 99.9% of brides at the time never even realized was an option to them! 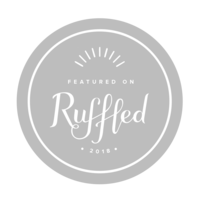 Time and time again, I walked out of complimentary consultations feeling discouraged and not fit for the “selling” side of things. I knew what I had to offer was great. I knew I was someone they needed. I knew I could execute everything they were envisioning. I knew they’d be more than thrilled with the end result. But I had to convince (or “sell”) them on that first. Everything from coming prepared and educating the potential client on what I could do for them, to walking them through pricing and asking them to sign a contract. The entire thought process was just a little overwhelming to me. As most small business owners will tell you, it just takes time. It takes time to learn what works and what doesn’t work. It takes time to tweak your offerings and find the right pricing structure. It takes time to gain confidence in asking for money in exchange for services. With every new potential client meeting, I gained that much more confidence in myself. I tweaked processes, packages, and contracts until it felt right. And I still tweak things to this day! 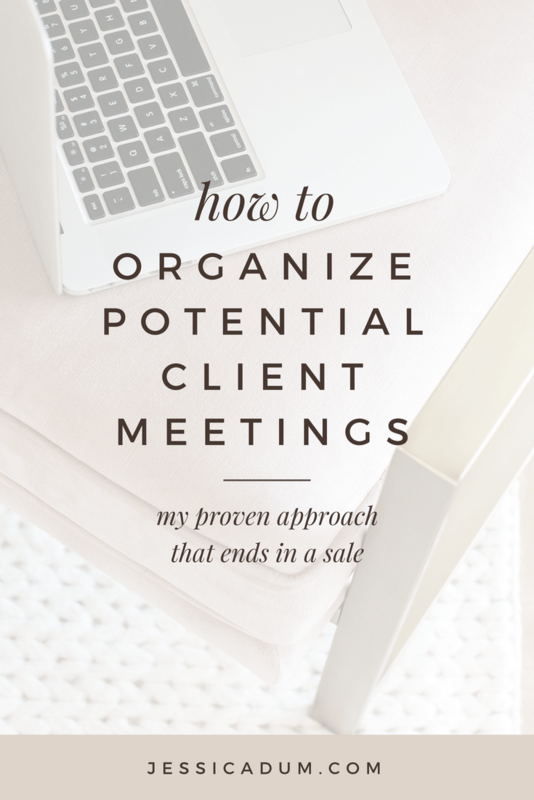 So if you’re feeling discouraged at your current process, please know you’re not alone and today I’m sharing my proven approach to organizing a potential client meeting that ends in a sale. And there’s nothing sales-y about it! Walking in to a potential client meeting well-prepared will speak volumes. 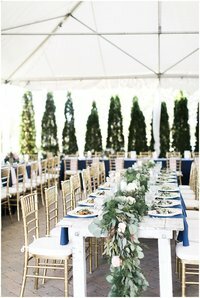 Not only should you make note of the couple’s names, wedding date, venue(s) and referral name, but did the bride maybe mention specific wedding details in her initial inquiry? Or have you never been to their selected venue before? Make note of the things that you do know, as well as any major questions you don’t want to forget to ask! 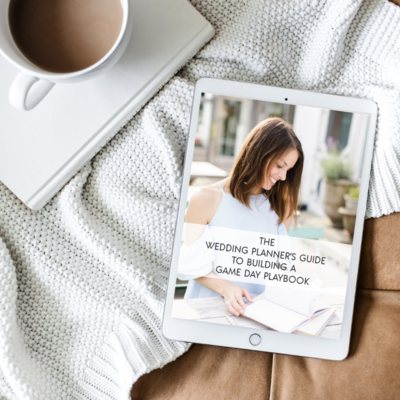 It’s easy to jump right in to talking wedding plans when you love what you do (I’m definitely guilty of this), but don’t forget to get to ask a few ice breaker questions first. How long have they been dating and when did they get engaged? Did they meet in college or are they high school sweethearts? What do they do for a living? Taking a few minutes to get to know the couple shows not only that you care, but can give you a better glimpse into their personalities and relationship. 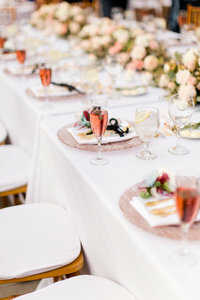 Who knows, maybe the bride mentions something particularly special to them that sparks an idea for a design concept, décor detail or even a fun surprise you can gift them throughout the planning process. Next, briefly explain what it is you offer and what problem you can solve for them. Don’t confuse this with talking packages and pricing just yet. 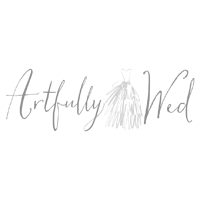 Are you a full service wedding planner that also offers day of wedding coordination services? 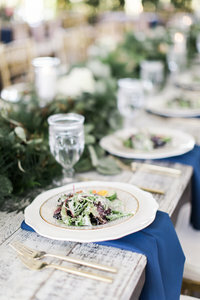 Maybe you’re a full service wedding planner that has recently added in-house floral design services. 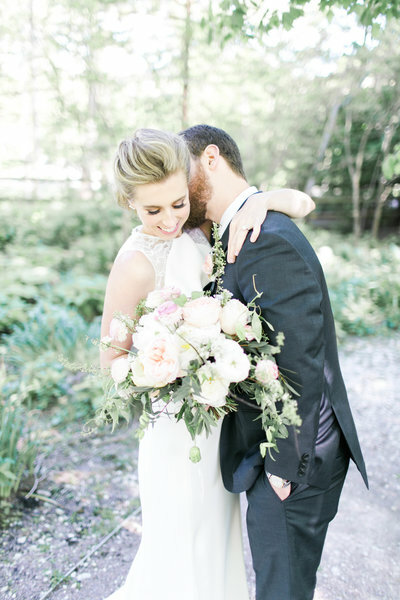 Or do you focus solely on day of wedding coordination? Whatever it may be, it’s always helpful to review the services you offer before proceeding. Doing so up front will help guide the conversation when you do talk vision, details and even budget. We obviously don’t want to waste everyone’s time or give away too much for free, but I like to do what I call “grazing the surface” on their details. That means asking general questions that give me a better feel of what the couple is envisioning for the day of, estimated timing (if any), what vendors they may have selected thus far, and so on. Doing so allows me to get a better idea of their expectations for the day and ultimately helps me guide them to a package that best fits their needs when it comes time to talk pricing. Now is the time to discuss your packages and pricing in further detail. 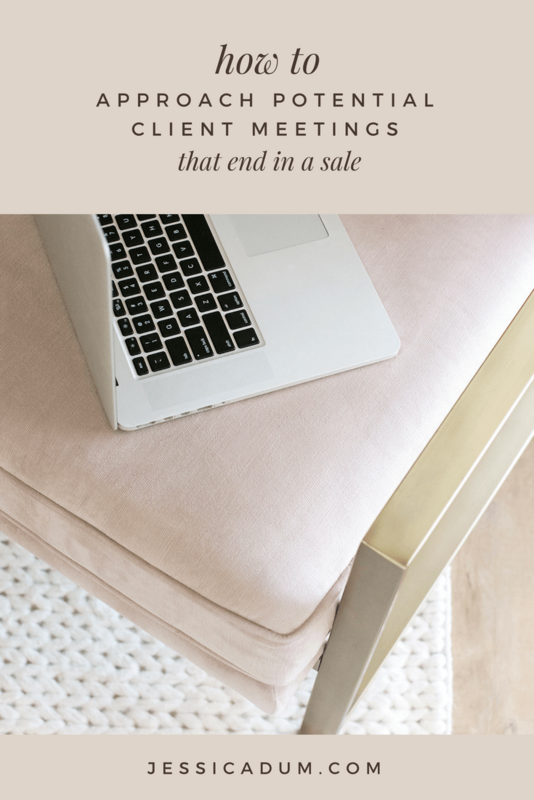 Walk them through your pricing structure, the steps you take to building a proposal for them, or even any minimums you may have. While some might suggest talking about pricing right away, I completely disagree. For businesses like my own where we are selling not only our services, but an experience, I’ve found that I ultimately sell my offerings more often when I walk potential clients through the process first. It gives them an idea of my approach and what it might be like to work with me. No one loves to talk about money, so why start off with that right out the gate? If anything, it could actually deter a potential client and make it seem as though that’s all you care about. While most couples tend to ask questions throughout, it’s still important to open it up for final questions and discuss next steps before parting ways. How long will you hold their date? If they want to move forward, when do they need to sign a contract or send in a deposit? If you promised to put a proposal together, when should they expect to see it? Walking a potential client through these final line items is just as imperative as it is to inform them of your service offerings. You want them to leave the meeting feeling confident that you are who they need, and no one else will fit the bill. To me, the client experience is everything. I firmly believe that the client experience begins well before they actually become a paying client. So a short and sweet follow up to thank the couple for taking the time to meet with you, goes a long way! It shows you value their time and that you would love to earn their business. This note can be included as part of a proposal you may have promised to send, but following up within one or two business days (bonus points for same day!) will speak volumes! P.S. Are you a wedding planner looking for business strategy to help you receive more wedding inquiries and book more ideal brides? Or have you hit a roadblock in your business and stuck on how to accelerate your offerings? I am now offering 90 minute coaching calls where we will work through your business pain point and strategize ways to up-level your brand. If this sounds exactly like what you’re looking for, email me today at hello@jessicadum.com to learn more about how we can work together!